The list is officially out – WE DID IT!!! We ranked in the Top 500 of 56,192 Allergan accounts nation wide for 2018, and in less than 3 years!  That’s TOP 1% – an accomplishment almost unheard of in a solo injector, new practice – a level we couldn’t have reached without YOU! Allergan is the worldwide leader in aesthetics. Their closest competitor only has approximately 1/3 of the accounts that Allergan has nation wide. They sell multiple products, which is why most of their top accounts are plastic surgeons, who not only do the injectables & skincare, but buy a ton of breast implants, which helps to increase their level with the company. 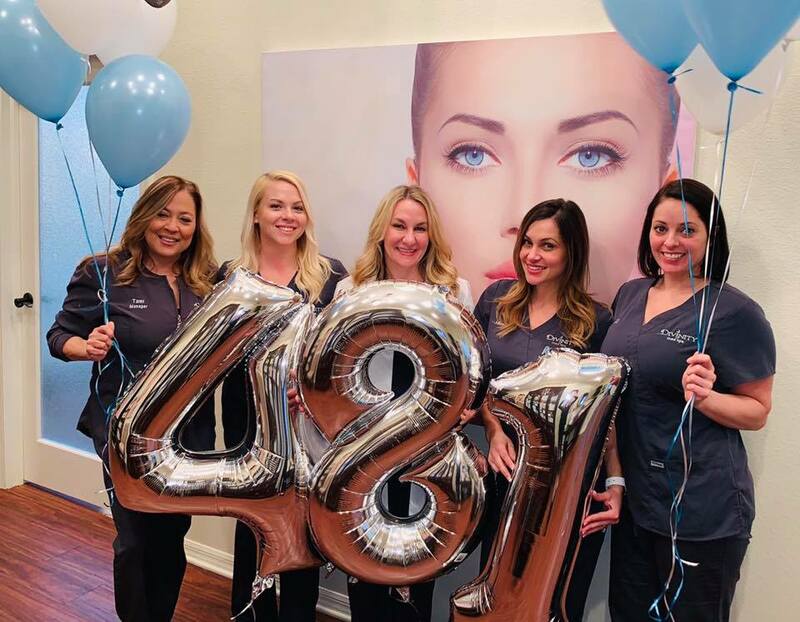 Being in their Top 500 is like winning an OSCAR in the aesthetics industry & we’re so proud to put Hernando County in that spotlight! This is cause for MUCH Celebration, so we are launching the following TOP 500 Specials!  The 1st 100 people will get $50 OFF 25 units or more of BOTOX with an Instant Rebate! Specials will run thru 2/14 or while supplies last! Thank you, our trusted & loyal patients, for helping to make the impossible a reality!